Spend the 17th (Sun) on the rails with a train tour. 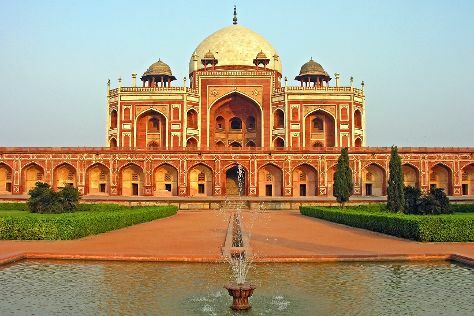 Next up on the itinerary: admire the natural beauty at Humayun's Tomb, take in the spiritual surroundings of Gurudwara Bangla Sahib, tour the pleasant surroundings at Lodhi Garden, and examine the collection at Gandhi Smriti. To find other places to visit, reviews, ratings, and tourist information, use the New Delhi tour itinerary planning site . Use the Route module to see travel options from your home to New Delhi. In February in New Delhi, expect temperatures between 29°C during the day and 13°C at night. 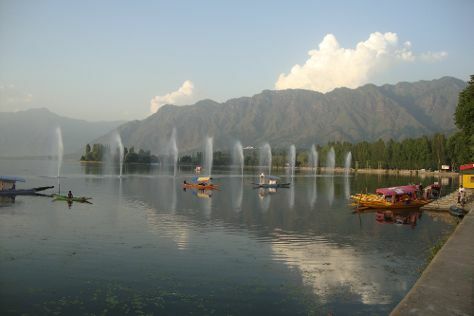 Cap off your sightseeing on the 17th (Sun) early enough to travel to Srinagar. On the 18th (Mon), don't miss a visit to Shankaracharya Hill, then explore the activities along Dal Lake, and then admire the natural beauty at Indira Gandhi Tulip Garden. Get ready for a full day of sightseeing on the 19th (Tue): admire the natural beauty at Nasim Bagh, then contemplate in the serene atmosphere at Chatti Padshahi Gurudwara, and then get the lay of the land with Walking tours. To find reviews, more things to do, maps, and other tourist information, you can read our Srinagar day trip planner. You can fly from New Delhi to Srinagar in 3 hours. Other options are to drive; or take a bus. Traveling from New Delhi in February, expect nights in Srinagar to be little chillier, around 3°C, while days are much colder, around 11°C. Finish your sightseeing early on the 19th (Tue) so you can travel back home.